Most people looking for a home to buy start their search online. Yes, they drive neighborhoods, but they do their research on the Internet. If they don't see what they want in a listing, you're swiped left. So whether you are a FSBO or working with a Realtor, knowing how to describe your property is crucial. I'm going to make it easy. 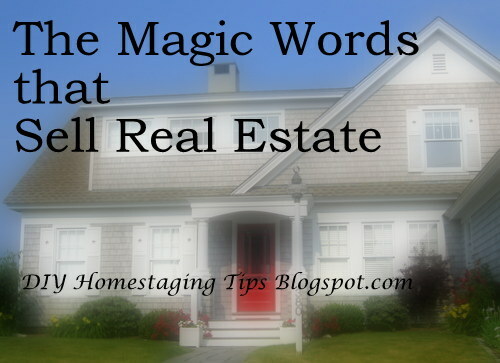 Here is my list of seven words that are what buyers want to see and hear. This term tops the list. Most buyers are impatient to get settled into their new homes. Many of them lack the skills or budget to manage the upgrades they'd love. Give them what they want and you're golden. If you have unfinished projects -- the garage shelving your bought and never installed, the window treatments you started and never finished, the closets you've been meaning to organize and clean -- start by making a list. When buyers see a home that needs fine tuning or repairs, they fall out of love with it. Everyone wants more room. You can't claim spacious if your whole property is tiny, but if the closets or the yard or something else is large, use the magic word "spacious." If you get unnecessary furniture and personal belongings off-site, it's gonna go a long way to letting you claim "spacious." It may inconvenience you. It may cost you, but no one ever said that selling a home isn't like running a business, and you may have to spend money to make money. It isn't just the neatniks out there who get turned on by the word "immaculate." Buyers expect clean. They might have just come from touring a home that was cleaned professionally, or a model home, or a new home, or one tidied up by a professional organizer and then staged to impress. These homes could be your competition. No home on the market is too clean. I know it takes work and constant attention if you are living in your staged home. Tell yourself it's only temporary. Tell yourself you can do it. It helps if you have a routine cleaning schedule and some help from whoever lives with you. Remeber, declutter first, then clean. Why bother cleaning what is leaving the property? Who doesn't want a place of their own that isn't going to drag down their weekends or bust their budget with repairs? It's an over-used expression, so if you're going to claim your home is well-maintained, make it genuine. When you clean your home, do it the way you would detail your car. Better, yet, the way a pro would detail your car. Get into every corner. Polish what should be shiny. Dump the junk. You can't advertise "well-maintained" if your roof is 30 years old, your wood-burning fireplace has never been cleaned, your faucets are crusty, and your siding sports a layer of mildew. Not every buyer thinks ahead to what it will take to keep a home in tip-top shape. But more experienced homeowners can spot a maintenance nightmare. The list might include white carpeting, an expansive lawn, a pool, wooden windows, siding, and porch railings that will need painting, and yes, even stainless appliances (not everyone loves 'em, so don't hate yourself for not upgrading). Most low-maintenance features are part of a house's original design. There's not much you can do on a shoestring about not having a brick exterior, solar heating and a metal roof, but you can add some visible, low-maintenance features. You can reduce the size of your turf by increasing the mulched areas. You can have wood windows replaced (or do it yourself if you have some muscle and basic tools.) Look for other after-market features that will make sense for your price point, your region of the country, and your market of buyers. In your home's MLS description, "new" is a word that stands out. Its definition can be a little loosey-goosey. Is a year-old refrigerator "new?" 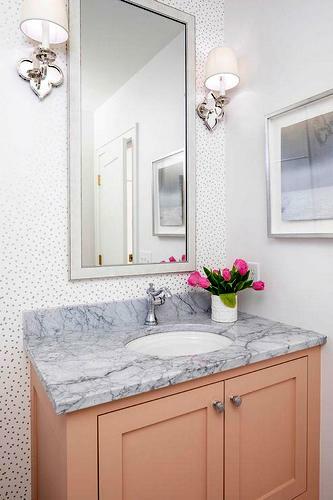 Can you call the bath remodel you did two years ago "new?" When is a "new" deck considered old? If you hired a good listing agent, she will filter the fluff out of your list of amenities. The last reaction you want from people coming to view your home is disappointment after you have set them up to expect what doesn't exist. One alernative is to simply list the year of the purchase or when the work was done. There are other words that can stand in for the word new. In some cases, "recent" or "fresh" can describe things like paint jobs and carpeting that wasn't exactly done yesterday but still looks great. When you describe your home in literature, online listings, or conversations, one word to avoid is "repaired" or "replaced." These words indicate a problem existed. The better words are "upgraded" or "updated." They sound more like the decision was based on trends, cosmetics or simply a boost in quality. The word "recent" carries some serious weight. Buyers prefer to imagine they are among the first to use the feature, whether it's the shower stall, flooring, or media room. Unless they are FSBO, most home sellers are not writing their own real estate listings, but you can still feed your listing agent the facts. 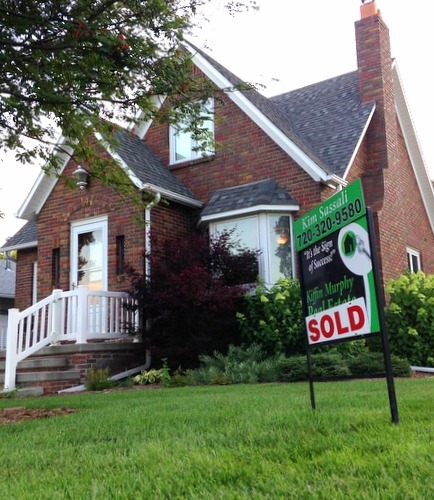 I've blogged already about how to write a home-for-sale listing that sells. I've written three homestaging eBooks to help you prepare your home so it will sell fast for a price you like. Download them for $4.99 each to get a headstart on your homestaging today.